In a land where the choices seem to be mostly soup or more soup, soup can get old quite fast. This is especially true in Hanoi where 90% of the diet seems to be beef soup of some sort. OK, that is an exaggeration but somewhat close to the truth. At least here in Saigon we have a huge amount of other foods when a liquid and noodle diet gets old. And if we really want a hot bowl of water based food on a steamy hot day, the choices are luckily more diverse than Hanoi’s beef soup. having said this, amongst all the selection out there, I think I have found my perfect bowl of soup. In fact, I was actually able to eat the entire thing without leaving behind a trail of animal innards, fat, skin, bone, congealed blood and all the other debris of Vietnamese cooking. About all remaining was a tiny sheen of liquid speckled with flecks of black pepper. A joint called Ba Xi in District 3 at 135 Vo Van Tan Street offers a menu of choices without any sort of English translation. And of course the menu contained words new to me so this was just one giant guessing game. My friend and I looked around and everyone seemed to be enjoying some sort of soup. We pointed to a lady’s food, and the waiter told us no. What does he mean, no? Asking again got the same response. Finally a second waiter figured out we wanted the same item so he walked over to the woman and picked up her bowl of soup and placed it on our table. OK, I know we pointed to hers but we didn’t mean we wanted hers specifically. We apologized to her and tried again. Within minutes our bánh canh Trảng Bàng arrived and its sweet scent wafted upwards into the humid air. 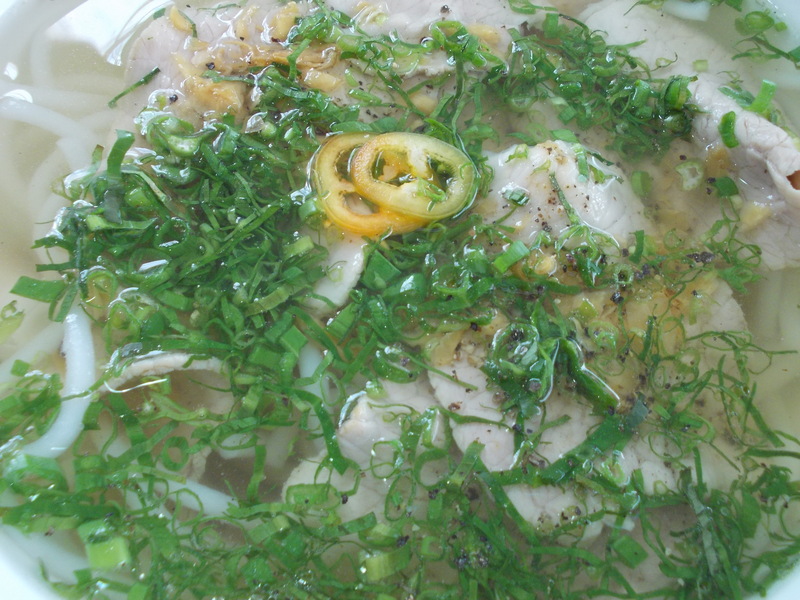 This clear broth soup of prok and herbs originated in the town of Trảng Bàng near Saigon. I am glad to live in a country where western table manners are not really a concept because I had trouble getting the slick ropy rice noodles from the bowl to my food hole without making a lot of slurping noises. The meat was highly edible, and what a joy to eat pork that in no way looked like remnants of a pig that met an untimely hacked up demise. I was able to identify the que vi herb from a picture on the wall. What this is in English I have no idea but its taste is a cross between pepper and cinnamon. 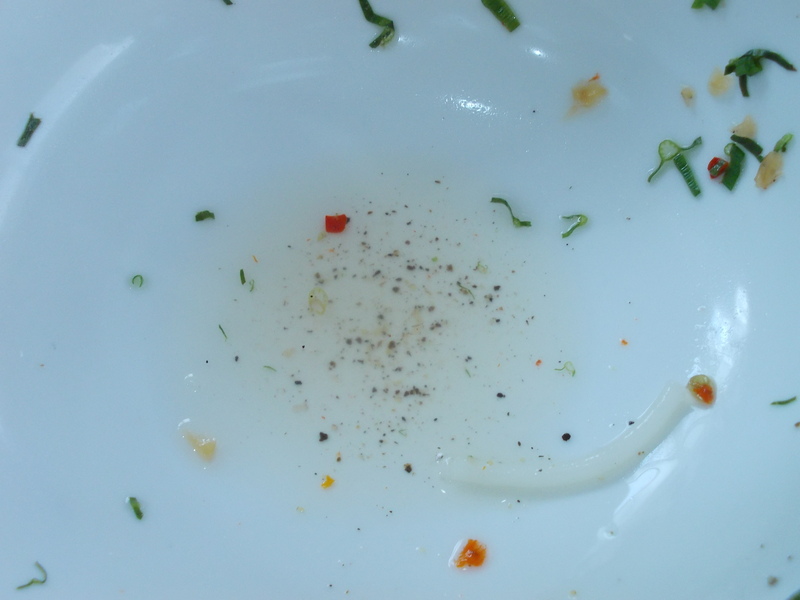 Of course the standard lime juice and birdseye chili peppers were on standby to add the required sour and spice to an already sweet broth. My only problem with this meal was that I ordered a small bowl rather than the large and the meal had to come to an end. 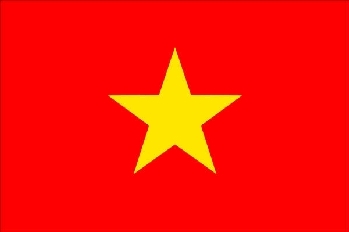 Trảng Bàng is known for its bánh canh and bánh tráng phơi sương.